With over 20 years of experience in design and development in the Chicago market, SEO Design is one of the fastest growing web consulting firms in the Southwest suburbs of Chicago. Every website we produce has only one goal in mind; results. We focus on small businesses in the Chicago suburbs to help them compete online with much larger companies which also have much larger budgets. In comparison, our prices are about half when compared to other website design firms in the Chicago area. Contact us today and find out why businesses from Naperville to Orland Park and every suburb between and around turn to SEO Design for their website design and web marketing needs. 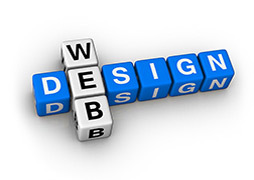 SEO Design Consulting offers professional, affordable website design and development services. We can design—or redesign—every aspect of your site, from aesthetics to complete development. We can also host your site and perform a wide range of search engine optimization & Internet marketing services that will help you succeed online. Our approach starts with recognizing and understanding your company's goals and objectives for the website. SEO Design Consulting will then translate the results of the brainstorming workshop into a concept strategy for the client, drawing from in-house methodologies and the expertise of its international partner. We then develop the website from the bottom up, giving top priority to the intended market/audience and overall user experience. This is followed by the design of suitable information architecture, which in turn is followed by integration of your current marketing plan and logo design. This ensures that your corporate identity is consistent and easily recognizable whether your client is surfing your website or reading your latest newsletter. SEO Design Consulting has expertise and experience in web standards and best website design practices; we always aim for quick downloads, easy navigation, and most of all, consistency. At SEO Design Consulting, we understand that the business environment is never the same, and your website requires constant maintenance to remain as a true extension of your company on the Internet. If you have a website that needs changes, updates, or even a complete overhaul, our team will enhance your website for optimal success. Although web design and development could contribute to the appeal of the site, you will require well written and unique content to maximize your business conversions. At SEO Design Consulting, we focus on passing the message to the audience rather than filling in the pages. A persuasive and informative communication style is indeed a signature trait of SEO Design Consulting! The website's function or usability is no longer a nice-to-have, but is now critical to a website's success, especially in eCommerce. Navigation, information architecture, and use on multiple devices are critical in a website's success. Luke and the entire team did an absolutely amazing job! We felt like we were always their priority. The website design they did was spot on, and the entire project was managed very professionally. Great job everyone! We absolutely loved how everything worked out. It’s aesthetically pleasing and very easy to use. It's better than what I imagined it to be from the very start. Even when we were completed, they still had ideas rolling in for future improvements to help guide us along. They were great to work with, and kept the project rolling along even when we were late delivering on our end for content. Our user-centered design web development process is based on more than just requirements. It's based on how to best compete on-line in your industry from an SEO perspective. Every step of the process is tailored to allow your company to effectively compete against your competitors. Developing a custom high performing website starts no more than with a phone call and brief consultation. It is then followed by a face-to-face meeting where we review your wants and your business needs within the context of your competition. Depending on your industry and current marketing efforts, we'll define your options and make recommendations on how to proceed as well as project costs. Next we will do a deep dive into who you are competing against, and what you are competing for. In order for any SEO efforts to be effective, we need to be targeting the correct key words which will drive the right clients to your site. Based on your current brand identity and color scheme, we will pull together a design direction so your website can not only compete but excell in the design and user experience efforts. Based on the direction we agree, we will pull together a design comp so you understand what the finished website will look like when it is completed. Components such as information architecture and navigation will also be defined so we know what to build and how to build it. During this phase, we not only craft the message but hone the content to make sure the site is hitting on all cylinders when it is released. Content needs to be informative, easy to read, and action based in order to elicit the right response from potential customers. We prepare the server along with caching, cloud-flare, and digital certificates to make sure your site speeds are as fast as possible. We also add Google or one of several other analytical applications to track visitor traffic. We add our proprietary optimization techniques to the site including a full suite of tool-sets such as Google Webmaster Tools. We backup your old website and upload the new site content to the server as well as make any necessary domain name changes such as name-servers or A records.